3 days ago received the qsl card from China, confirming my 2m EME qso wirh the Chinese ham radio group . 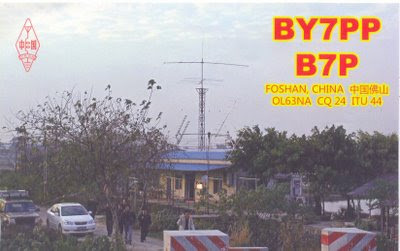 BD7IXG, Yang Weiwen is the qsl manager for this 2m EME activity. 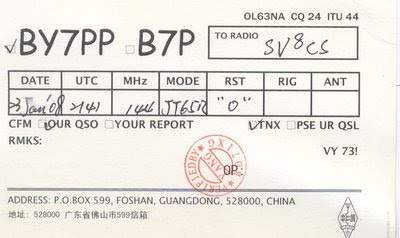 BY7PP, China qsl card is my number 111 confirmed DXCC on 2M. A43DLH - New one 2m EME qso.